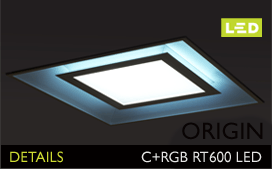 Recessed luminaire for premium class office lighting. Discreet low glare optical system combines square reflector elements and internal lenses for glare-free light. Optical system available in piano black or white finish. E-VECTOR – comprehensive offer of optical systems. 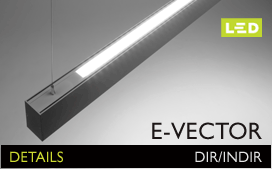 Aluminum profile E-VECTOR 60 is available with three types of optical systems. 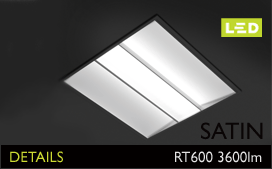 Suspended square-shaped LED luminaire with direct light distribution, represents a simple and flexible tool for lighting of large areas, especially commercial or public spaces. If you wish to subscribe to news and get to the center stage of our company, please fill out the contact form for inclusion in ELNIT club ..